Parenting through and after a divorce can be frustrating, confusing and complex. However, parents around the world are successfully dealing with the challenges of co-parenting and raising happy, well-adjusted children. There are many factors that influence how effective you are as a parent. In this article, we will look at some of the major elements of the method for successful co-parenting pre- and post-divorce. 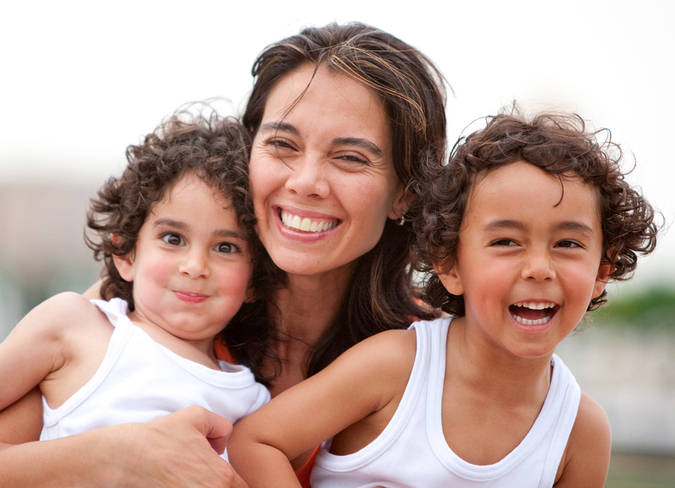 A positive outlook is an important component in the success of any Child-Centered Divorce. If you are committed to making your divorce as positive an experience as it possibly can be for the children you love, you are headed for success. What attitude are you expressing about your divorce? Pay attention to the way you think and speak about it. Are you filled with negativity? Do you spend your time in a “poor me” state of mind? Are you spending time with others who share those thoughts and feelings? If so, it’s time to overhaul your attitude. A Child-Centered Divorce is not created overnight – it takes weeks, months and years of attention to positive parenting. And don’t worry; it doesn’t matter how long you’ve been divorced, it’s never too late to start. The choices you make today will impact the relationships you have within your family tomorrow and for decades to come. Your reality is exactly as you perceive it to be. So if you think it’s good or bad, you will be right. Your perceptions shape the story that is your life. Often we forget that we get to decide what happens in the next chapter. If you think of yourself as a victim in your divorce, you will concentrate on all the things that prove that to be true. But if you can choose to take your divorce as one of life’s experiences to learn from, you will gain many benefits and value from the divorce, no matter how painful it is for you. You will also be able to accept responsibility for the part you played and be more open to different ways of living your life that bring more positive outcomes. Sadly, it’s through life’s hardest lessons that we often grow and learn the most. If you don’t like the story you’re living, then take positive steps to change your perception and write the next chapter, as you want it to be. Sometimes life closes doors whether you want them to close or not. And often we need this, as we won’t move forward unless we are forced to do so. Take what you’ve learned from this painful experience and use that knowledge to improve the way you live. You can come out on the other side of your divorce stronger, wiser and happier. Getting past your divorce is only the beginning of the journey of the Child- Centered Divorce if you are a parent. Dealing with the challenges of successfully communicating with your co-parent is an area that you will need to work on continuously. If you are able to keep your children in mind when making a decision related to their well-being, you are set on the right course. You and your former spouse have a lifetime of parenting your children together ahead of you – so it makes sense to start with the best possible attitude you can. Start by developing a respectful co-parenting relationship. Try to remember that it’s your child’s other parent whom they love. Treat your ex with that level of awareness and dignity in all your communication and they are more likely to pay you the same respect and courtesy. Changes don’t always happen right away but with patience and perseverance, things can and will improve. If you truly want to move on from your divorce you need to find a way to let go of all the negative emotions bottled up inside. These include anger, blame, anxiety, resentment, hatred and jealousy. It’s important to take the time to experience these emotions. Feel them; give yourself the space you need to grieve for what you’ve lost. Then make a conscious decision to let it all go. Do this for the good of yourself and your children – not on behalf of your former spouse. Negative emotions are essentially bad energy and they get stored in the cellular memory of our bodies. You get stuck in a place that’s painful to experience and it makes you unpleasant to be around. For your sake, your health and most importantly – your children, decide to let it all go. Determine to move on. It’s not an easy thing to do but the alternative is continuing to live in your pain. Ask yourself, which would you prefer? The next important step once you’ve let go of your negative emotions is to forgive. Start by forgiving yourself. Forgive any perceived mistakes you may have made in your marriage or divorce. Forgive any poor decisions you feel you’ve made along the way. See yourself as someone who is open to change and personal growth. Feel your worth and learn to truly appreciate yourself. Next comes the hard part – forgiving your ex. This doesn’t mean that you condone hurtful or bad behavior. Rather, it means you are moving forward and not allowing the past to affect you any longer. When we are unable to forgive, it binds us to the hurt and pain and leaves us unhappy. Forgiveness has the power to release happiness and freedom. Set yourself free from the pain, insecurity and anger that have bound you. Step 7: It's you time! Making time for yourself is one of the healthiest things you can do to create a positive attitude. It pays real dividends in your life. Think about exploring new opportunities that excite you. Pursue a new hobby. Take a yoga or meditation class. Volunteer at an animal shelter. Start a new venture that you are passionate about. Spend time in nature. Exercise as often as possible. Eat a healthy well-balanced diet. Treat yourself to a massage or a facial. Indulge when you can. When you look after yourself, you can then give your children your total attention when you are with them. During and after divorce your kids need you more than ever. You can’t be there for them if you’re feeling drained and if you’re not there for yourself. It’s all part of the Child-Centered Divorce philosophy and it works if you play your part. Do the best you can. Be the best parent you can be. Take each day as it comes and be present. Ask for help if you need it. Don’t feel embarrassed or ashamed. You are not alone and all the help you need is out there for you. You just have to ask. Divorced parents will inevitably disagree at times. It’s important to take the time to build a co-operative parenting relationship. Develop good communication skills and you will reduce the damage that results. When a conflict with your co-parent arises, be a good listener. Most disagreements are caused by a misunderstanding or misinterpretation. Clarify what you heard to make sure that was the intended message. Often one of you made an assumption that was an error. This can result in hurt feelings, causing unnecessary anger and upset. Paraphrasing what you think they said and asking for clarification is a good habit to get into. Apologize if you get it wrong. Be understanding if the other parent made the mistake. Try not to jump to negative conclusions and try to communicate in a non-defensive way. Look for that middle ground that you can both live with. Don’t try to “win” the discussion or issue at hand. Agree to disagree if you have to. Learn to move on. Dr. Phil often says, “Every relationship needs a hero.” Be the one who can step up and look past the satisfaction of being right or getting your own way. Why? Because it’s in the best interest of your children to minimize conflict as much as you can. That doesn’t mean you get walked over. Stand up for what’s important to you. But if compromise won’t harm the overall well-being of your children, consider whether you can let it go. It’s not about who gets to be “right.” It’s about being the best parent you can be for the children you love. If you must make a stand, be careful with the language you choose. Try to avoid “I told you so” put-downs. Make your points by stating your feelings and using “I” language. Avoid “you” language and try not to be insensitive or insulting. It takes a mature, self-aware adult to rise above the conflict as it is happening. Do your best to be that person. Be a catalyst for setting the right example. As your children grow up, they will remember who made them feel safe, protected and loved. They’ll appreciate you for it. Just wait and see! © Rosalind Sedeca All rights reserved.